From film to fashion, games to software, music to media, advertising to architecture, the UK's £71 billion creative sector is one of the nation's most important industries, driving economic growth and supporting jobs. The value of the sector has increased by 15.6% in the past eight years, outstripping the UK economy growth overall. There are many jobs to be filled in the industry and companies are crying out for good talent. The past two years have seen a lot of development and many new initiatives for Major Players. To mark this, Major Players is running a competition in conjunction with Brand Republic to invite you to submit outstanding photography or images that depicts being "major". Explore, create and shoot an image that’s brave, striking, head-turning and encapsulates the idea of doing things in a major, not minor way. 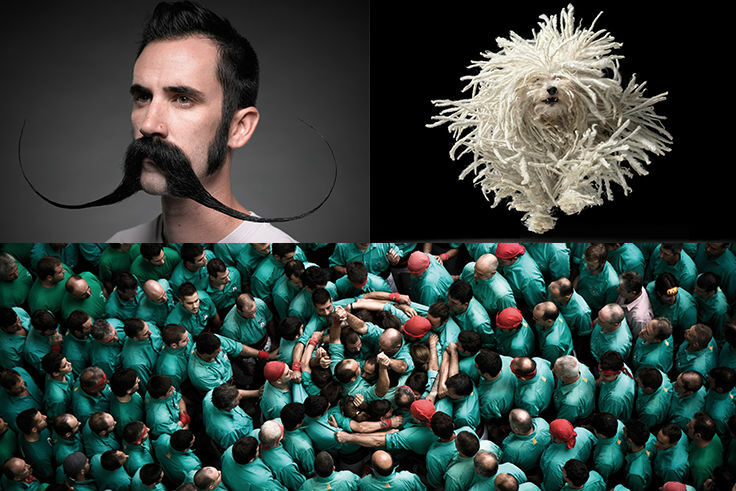 Entrants will have their work judged by world famous photographer, Tim Flach. You can enter the competition here. The winner of #MajorImage will receive £1,000 and the top five entries will be exhibited during an event in our beautiful new gallery at Major Players HQ. The best images may also be used in our branding. Since we are market leaders for recruitment in the creative and design space in the UK, the winner will receive major exposure to the hottest creative, marketing and digital agency executives that frequently visit our offices. Major Players is a stalwart recruiter for the creative and media industry and been around during the last two decades. It has placed junior creatives, marketers in the 90s who are now executive creative directors, or chief marketing officers running their own successful companies. There has been significant change at Major Players in the past two years. After a management buy-out from Randstad in 2013 Major Players was bought back and is independent again. New managing director Helen Stokes has been driving the turnaround. It has just completed a rebrand and is now totally focussed on working with creative’s, marketers and digital experts to find them jobs with the best agencies and clients. Stokes said: "Since the buy-out Major Players is now focused on service, we are an agency that will deliver to our candidates. It’s all about service, but also tapping into creative pursuits that help keep the industry alive." Stemming from frequent candidate requests from solo art directors and copywriters to form suitable pairings, they have set-up a new forum to facilitate future partnerships. Major Creative Partners allows copywriters or art directors to pair up online. In addition they have created a "drop-in" co-working space in the heart of Covent Garden. Candidates or clients can come in and work, meet another creative, chat to a Major Player’s consultant or even attend free industry events.